SaaS Accounting Gains: Now What Say You, McKinsey? 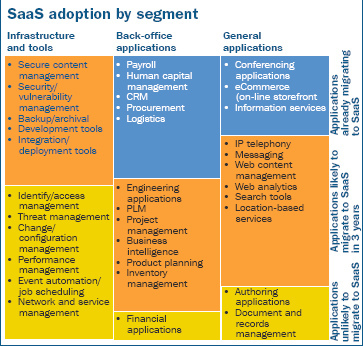 According to Goldman Sachs Accounting is now at the #3 spot in SaaS implementations, reports Dennis Howlett. Not a real surprise, certainly not to Dennis’s readers, or those who follow Ben’s Accounting 2.0 series. Still, seeing the numbers makes me feel good, given that I debated a short-sighted report by McKinsey a few years ago, when they predicted that Financial Applications would be amongst the last to move to the Cloud.